This is our Melissa Steam Distilled Essential Oil. 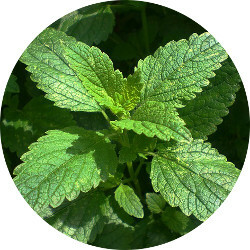 Herbal Folk Traditional uses for Melissa include being known as the elixir of life and it is particularly associate with the heart, emotions and nerves making it useful as a Shen tonic. It is used to address anxiety and depression type disorders as well as to strengthen and revitalize the Spirit. Melissa is used for nervous complaints manifesting as asthma, digestion and flatulence. Women use Melissa to promote regular menstrual cycles and promote fertility. Melissa is also used topically for bee and wasp stings. Melissa Essential Oil is steam distilled from the leaves and flowering tops. It is a pale yellow liquid with a fresh, lemony, sharp and tart yet slightly sweet, green-herbaceous scent with notes of fresh honey. Melissa Essential Oil blends well with Angelica, Basil, Bergamot and other Citrus oils, Cassie, Citronella, Coriander, Elemi, Eucalyptus Radiata, Frankincense, Geranium, Grapefruit, Helichrysum, Lavender, Lemon, Lemongrass, Litsea cubeba, Myrtle, Neroli, Nutmeg, Petitgrain, Roman Chamomile, Rose, Sandalwood, Tea Tree and Verbena. Melissa is a sweet-scented herb about 2 feet tall with soft, bushy bright green serrated leaves, square stem and small white or pink flowers. Melissa is native to the Mediterranean region and is common in Asia, Europe, North America, North Africa and Siberia. Melissa is mostly cultivated in Egypt, Hungary and Italy and produced into essential oil mostly in Ireland. Melissa Essential Oil is used as a fragrant ingredient in personal care products, cosmetics and perfume. Melissa Essential Oil has the following actions: antidepressant, antihistamine, antispasmodic, bactericidal, carminative, cordial, diaphoretic, emmenagogue, febrifuge, hypertensive, insect repellent, nervine, sedative, stomachic, sudorific, tonic,uterine and vermifuge.